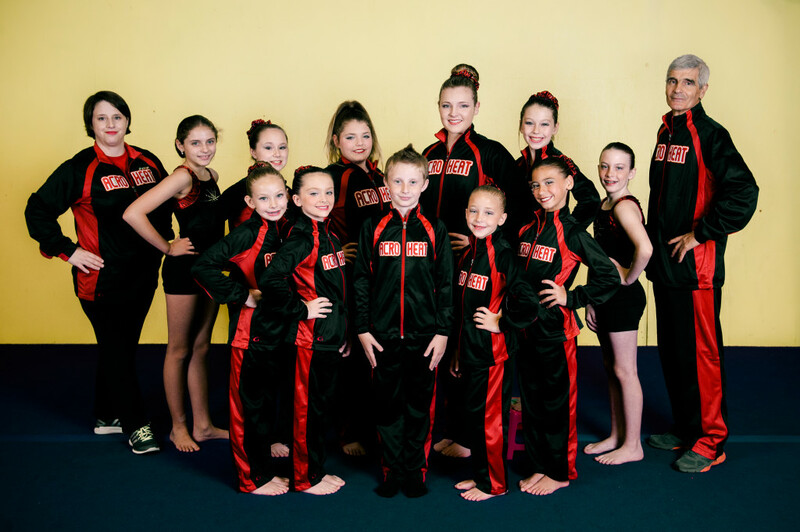 Leaps & Bounds Acro Heat– We have enjoyed a long history of success at local levels and the USA Gymnastics Acrogymnastic National Championships. However, we are most proud of the sportsmanship, camaraderie and life lessons that our acrobats learn. Our coaches are selected based on their character as well as their knowledge of the sport. 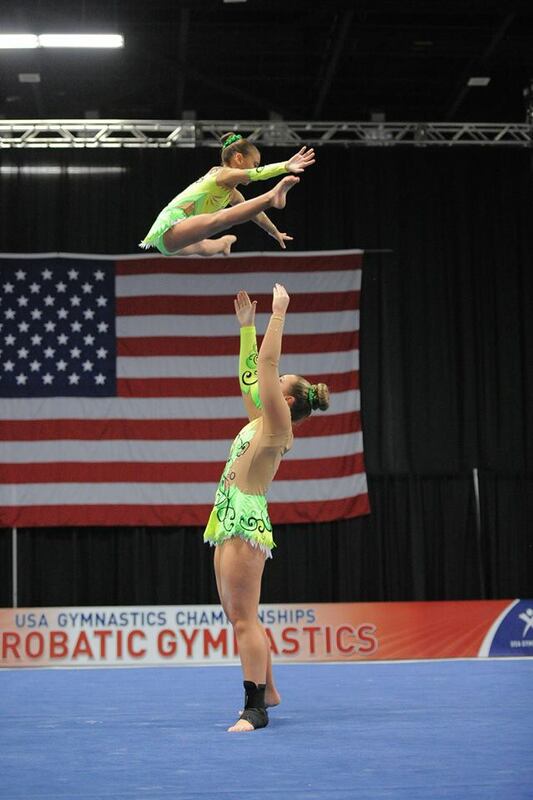 Together, we are a big acro family–parents, athletes, and coaches. Our coaching crew is unique in the gymnastics world. Selected for their genuine love of children as well as their technical expertise, you will not find better coaches anywhere in any sport. Saying it another way, if you are concerned about the character of the people who mentor your children, Leaps & Bounds is the clear best choice for your kids. Athletes train in a 24,000 sqft gymnastics training hall. In addition to the apparatus and mats you can see, an effort to provide for your child’s safety goes far and beyond what meets the eye. Ask any ‘veteran’ Team parent who has had a chance to visit other facilities and they will confirm that our coaches, facility and elite team are top notch. Parker would sit and watch the higher levels do tricks and he was amazed. It sparked a curiosity in acro, flexibility, tumbling and even Cirque Du Soliel. After signing up we have enjoyed the family atmosphere of Leaps & Bounds and how our team looks out for each other. And more recently I’ve been so impressed at how quickly the athletes have advanced and gained skills this season, new and old members alike. Before we came, acro was appealing by the stunts they do. It’s a very challenging dedicated sport. We were excited to choose acro at Leaps & Bounds because of the giant posters everywhere showing the team’s awards. It let’s you know this is a great gym to be at. I was surprised at how quickly the kids learn these stunts. Very motivated and talented kids. Eden would watch the high level team doing their skills. This was appealing to her. She was surprised that no matter how young you are or your skills level, you can do anything if you work hard. Dedication + good coaching = a successful athlete. Kiril has been coaching at Leaps & Bounds for 8 years. He himself was a silver medalist at the World Championship in Men’s Pair. 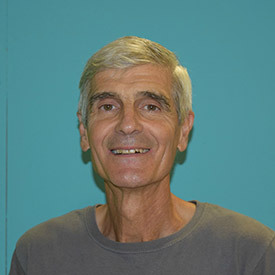 In Bulgaria, Kiril has coached many athletes who have won international medals. Kiril has the highly reserved distinction of Master Of Sport. He was an international Brevet judge before he came to Louisiana. At Leaps & Bounds, he has trained our athletes to win national championship titles. He was Regional Coach of the Year in 2013 which is voted on by his peers. Kiril recognizes that not everyone will win chapionship titles and is committed to helping our athletes see that their hard work work builds character and prepares them for life. He is committed to making the learning process fun and rewarding for every athlete. Kiril lives in Denham Springs with his wife, Rumy. They have two sons. He loves to go fishing and growing vegetables.